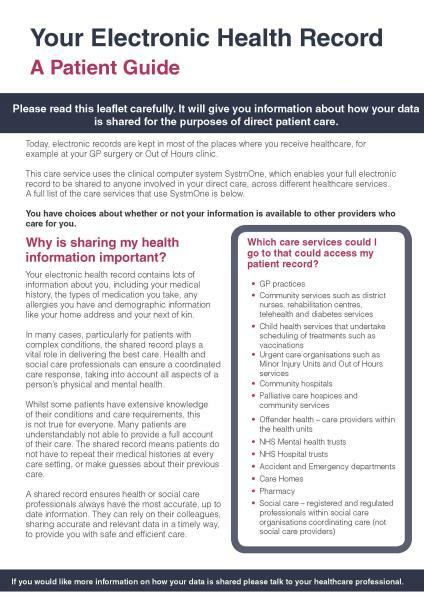 May we also remind you that data is also extracted for the Summary Care Record, further information is available from their website nhscarerecords.nhs.uk. 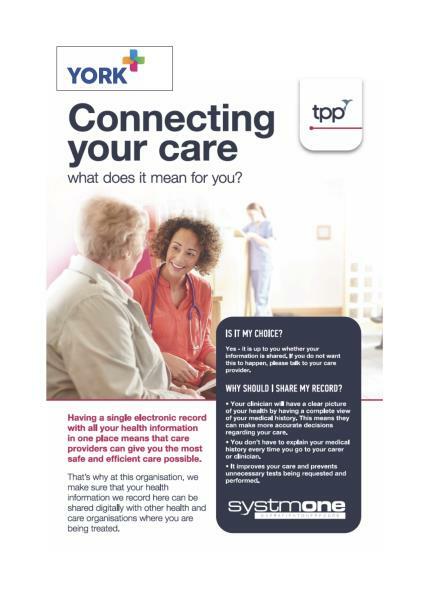 Please note that Care Data and the Summary Care Record are separate extractions. 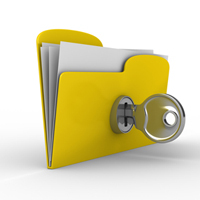 If you wish to opt out from the Summary Care Record please complete a separate SCR opt out form. Important information about your detailed health records held at this service. Please let us know your sharing preferences at reception.